During his scientific life Albert Visser has contributed to a great variety of disciplines in logic, ranging from provability logics, interpretability, and formal arithmetic to philosophy, linguistics and formal language semantics. 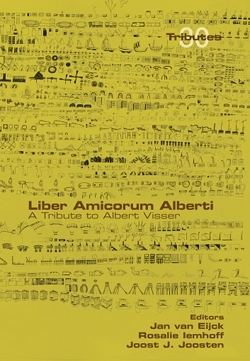 This Liber Amicorum is in honour of his long and distinguished career, and nicely bears tribe to the diversity of Albert Visser's interests. Filed with contributions from his colleagues, the book illustrates the important role thatAlbert Visser plays and has played as a logician in the Netherlands and abroad.